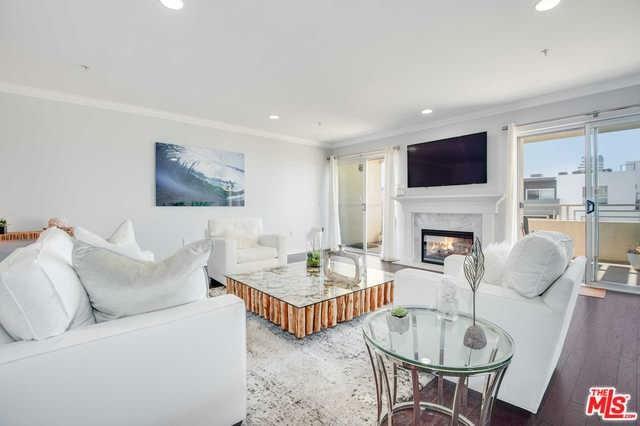 Spacious and airy two-story penthouse residence in the heart of West Lost Angeles. 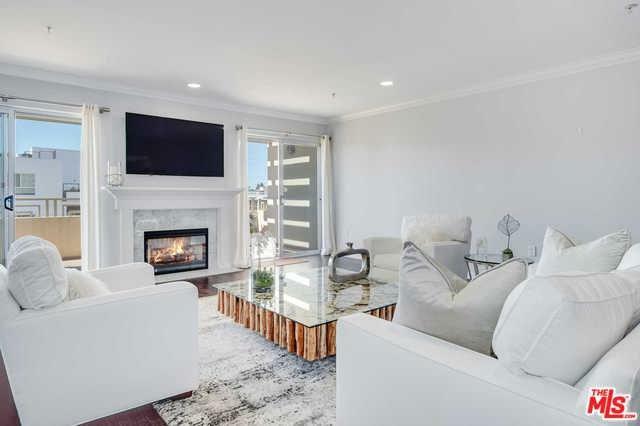 The first floor boasts a light filled living area, stylish dark wood floors throughout, fireplace, a large west facing balcony with mountain and city views, and powder room near entrance. The elegant open kitchen has white marble countertops, a farmhouse sink, white cabinets, and stainless steel appliances adjacent to an eating nook. Both bedrooms are downstairs. The master suite includes a large walk-in closet, and en-suite master bathroom with double sink, deep soaking tub, and large glass-door shower. Second bedroom includes spacious en-suite bathroom. There is a large laundry room and an abundance of closets throughout. Building has controlled access, gated parking garage, and gym. 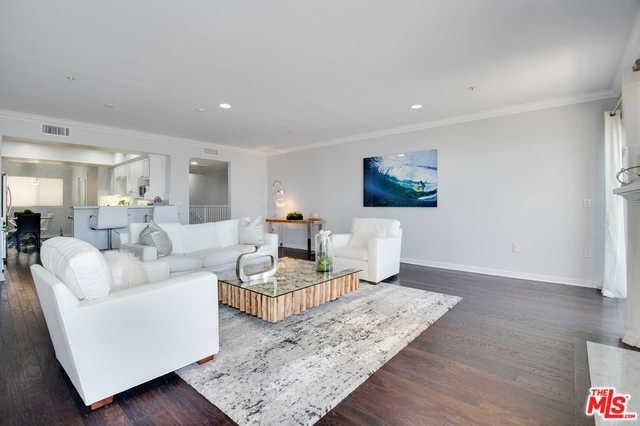 This spacious light-filled penthouse offers a vibrant central location, close to shops, restaurants, Santa Monica, Brentwood, Westwood, and the freeways. 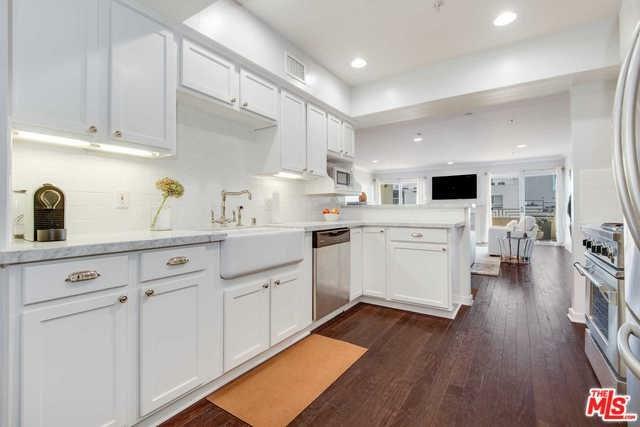 Sold by Annelise Collins of Keller Williams-Santa Monica.